Arsenal surrendered the Emirates Cup as they again let the lead slip in a 1-1 draw with New York Red Bulls. The response of the 60,000 inside the Emirates Stadium did not bode well for the new season, with the Gunners doing nothing to prove they had cured the frailties which caused their supporters so much suffering last term. As in Saturday's 2-2 draw with Boca Juniors, who they had led 2-0, Arsenal were unable to close out a game they had dominated, with substitute Kyle Bartley putting through his own net six minutes from time. That was after Robin van Persie had put the tournament hosts on course for a fourth Emirates Cup success out of five when he nodded home shortly before half-time. 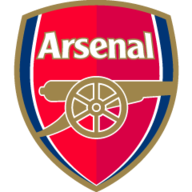 While defensive errors cost the Gunners on Saturday, it was their all-too-familiar wastefulness in front of goal on Sunday as they missed numerous chances to kill the game. Manager Arsene Wenger retained only four of the starting XI who played 24 hours earlier and was clearly not prepared to take any chances with the quartet, withdrawing Jack Wilshere after just seven minutes after the midfielder picked up a knock. The Red Bulls made just four changes from the side which surprised Paris St Germain on Saturday. One of them was Thierry Henry, who was treated to a hero's welcome on his return to the Emirates. The Gunners' all-time top scorer took just seven minutes to make an impact, screwing a low shot wide. Arsenal were in control otherwise, although they were guilty of their perennial crime of trying to walk the ball in when a Carlos Mendes tackle denied Aaron Ramsey. Wilshere's replacement Benik Afobe had slotted in well on the right and almost had a goal to celebrate when he brought down Bacary Sagna's cross and forced a sprawling save from Frank Rost. Moments later, Rost produced an even better stop one-on-one with Ramsey, who had been wrongly flagged offside anyway. After Henry's free-kick forced an acrobatic save from Wojciech Szczesny, Ramsey missed a glorious chance to put Arsenal ahead, blazing over after superb trickery from Van Persie caused chaos in the visitors' box. The penalty area also witnessed what appeared to be a dive from Gunners new boy Gervinho, who went down far too easily when Chris Albright slid in from behind after gifting the ball to the Ivorian. The Emirates was virtually full but those inside suggested they were not getting their money's worth by starting a Mexican wave shortly before the break. They were on their feet for the right reasons three minutes before half-time, Tomas Rosicky's straight free-kick flighted perfectly for Van Persie to nod home past a stranded Rost. Gervinho should have made it 2-0 moments later, bursting onto Rosicky's through-ball but shooting too close to the goalkeeper. Van Persie also wasted another chance immediately after the restart, electing to square the ball when he should have shot. He was then denied an easy finish by a brilliant sliding interception by former Barcelona defender Rafael Marquez after brilliant skill down the left by Afobe. Van Persie and Gervinho combined to force another stop from Rost before they were replaced by Marouane Chamakh and Carlos Vela for the final 25 minutes. Arsenal's habit of tossing away leads had resurfaced on Saturday and they were almost caught on the break on Sunday when Henry sent a trademark sidefoot effort too close to Szczesny. 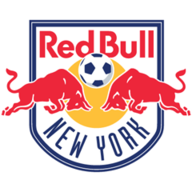 And after a swathe of substitutions, they failed to heed the warning as the Red Bulls snatched an unlikely draw. Henry was the inspiration, threading in substitute Juan Agudelo, whose cross was turned into his own net by Bartley.